The Information Literacy Framework from ACRL presents a nationally recognized set of skills that can be used to demonstrate the value of individual academic libraries and groups of libraries that want to benchmark learning. This is true for all types of libraries including community colleges. The representatives from regional accrediting agencies who reviewed the Framework recognized and supported this use for the Framework. Those who claim that the Framework does not fill a role similar to the rescinded Information Literacy Standards misrepresent or misremember how the Standards were used. The Framework follows current thinking for learning models that do not attempt to be definitive in nature but offer a recognized structure within a domain of knowledge that can be used to demonstrate value through assessment of learning. Two noteworthy examples of these kinds of models are “The SCONUL Seven Pillars of Information Literacy” from the UK and in the US the Social Science Research Council’s Measuring College Learning (MCL) Project which defines learning framewowks for six disciplines–biology, business, communication, economics, history and sociology. Like the Seven Pillars or the MCL Project, the Framework provides a foundation upon which to explore fundamental information literacy concepts within higher education curricula. The core action in demonstrating this value is in measuring learning. Librarians can do this within their institutions or across institutions by developing knowledge practices under the frames that make sense for their curricula, writing outcomes based on courses (or on credits or on capstone courses, etc), creating assignments & rubrics that measure these outcomes, and then assessing the learning that has (or hasn’t) taken place in order to make needed changes and foster discussion. (Rockhurst University provides an example of the Framework in action.) There is no reason that librarians in a state, a region, or type of library can’t do exactly what Rockhurst (and others) have done to make the Framework central in information literacy assessment. One criticism leveled against the Framework is that it is purposefully non-prescriptive. It clearly states that it does not represent universal information literacy standards. Critics say that the rescinded Standards were intended to be prescriptive and that it is this prescription which gives them their authority and, therefore, their value. I am skeptical as to whether the librarians who wrote the Standards actually saw them as prescriptive, but in any case, this criticism ignores how the Standards were actually used. They were not used in a prescriptive manner. They were always rewritten, adjusted, and twisted to meet their local and regional needs. Thus, the rescinded Information Literacy Standards were not really used as strict standards. When they were used by groups of librarians in a region or a state, the Standards were a starting point but were ultimately adapted (rewritten) for statewide needs. 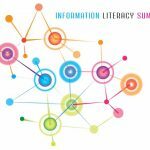 An excellent example of this with the Standards is work the librarians in New Jersey did in offering their “Progression Standards for Information Literacy”. Although it is now dated, this demonstrates how libraries across a state made the Standards work for them without strictly copying them. The New Jersey Progression is a distillation where particular skills were emphasized, some were left out and almost all were altered. The New Jersey Librarians have even delineated between skills they expect at 32 credits and skills they expect at 64, which ACRL never did with the Standards. Librarians used their judgment as to what was appropriate at different points within the curriculum. Librarians and presumably faculty members doing assessment could then take these outcomes, build assignments, conduct local assessments, and compare their outcomes to others within the state. The Progression could also act as a political tool to leverage information literacy into the curriculum given its support across the state and under ACRL as a national body. Despite these uses, the Progression (and similar documents) did not draw authority by directly copying the Standards nor directly measuring against the standards. The rescinded Information Literacy Standards were an especially bad fit for large sections of the community college curriculum. The Standards overly focused on traditionally academic disciplines found within transfer programs where research papers tended to dominate. Career programs such as automotive, polysomnography, computer networking, and others that make up important segments of community college curricula did not easily connect with the Standards. If programs did not use research assignments, the Standards did not apply. The Framework’s expanded view of information literacy opens more room for conversation and assessment. For example, discussions on what counts as authority within a profession and how a profession develops and shares knowledge easily fit within the Framework (see Sharing the ACRL Framework with faculty). The Framework’s progression from novice to expert makes sense to career-oriented disciplines where mentorships and clinical experiences are central to learning. Not only is the Framework a better fit for community colleges, but it is a more honest approach as a national structure upon which to demonstrate value by measuring learning within and across libraries. 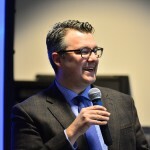 There remain a few librarians vocally calling for a standards-type document to accompany the Framework, but it seems clear that the ways that the Standards were used in the past are not at all different from the ways that the Framework (and similar models like the Seven Pillars and the MLC Project) will be used. It begs the question: what are they holding on to? It is not the actual use of the document. Could it be that they yearn less for a new document and more for a single word?